I am already more than 21 weeks pregnant! It has felt like a long old time and has flown by at the same time. 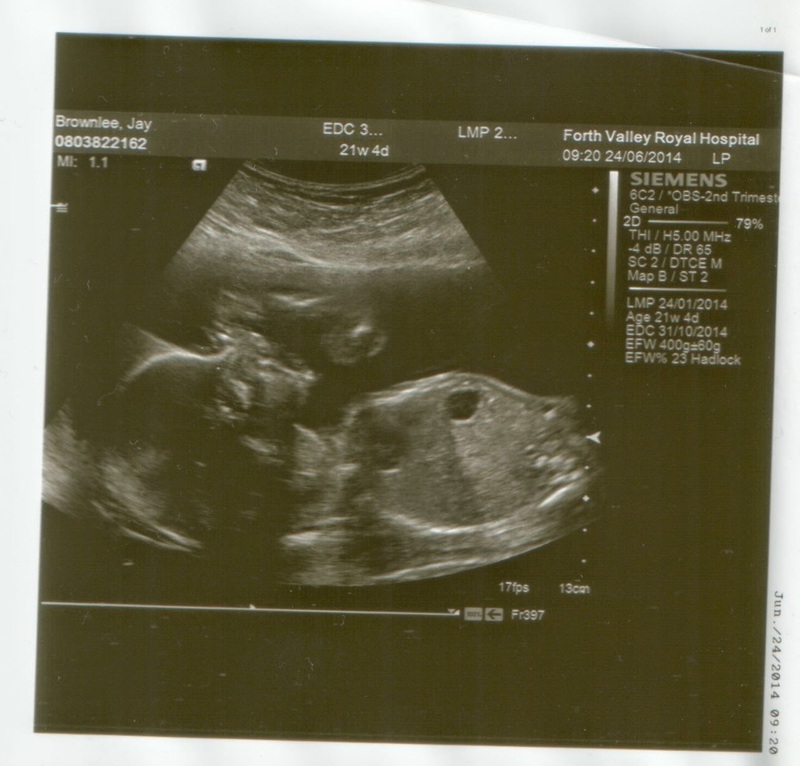 Today I had my 20 week scan. All is well, growing well and with all the right bits in the right places. We don't know the gender and won't until baby is born. We thought you might like to see the picture we got to take home with us. Head on the left, facing up the way, if you need directions!